Wow! Saint Patrick’s Day is just two weeks away! I loved coloring shamrocks as a kid because the bright green color meant spring was just around the corner. Spring has always meant fresh smells and bright colors, so why can’t we have a fresh lip balm? 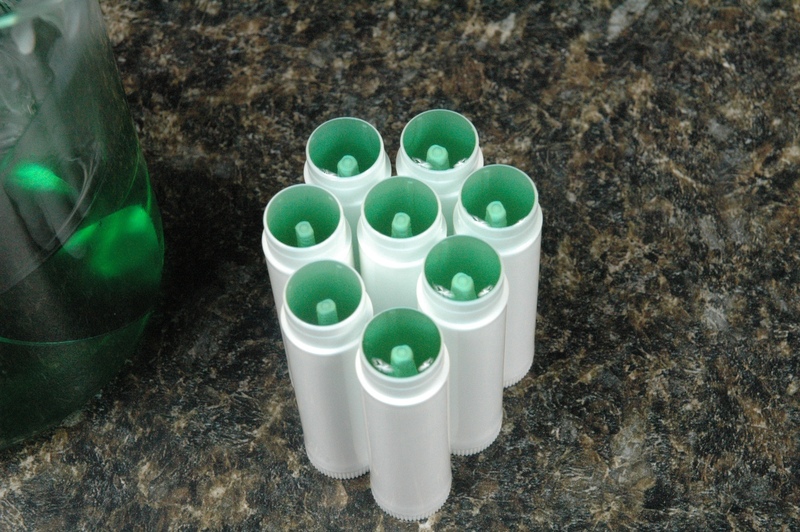 I want to have fun with a lip balm for Saint Patrick’s Day, so we are going to make a green mint lip balm. Makes 200 grams and approximately 60 tubes. 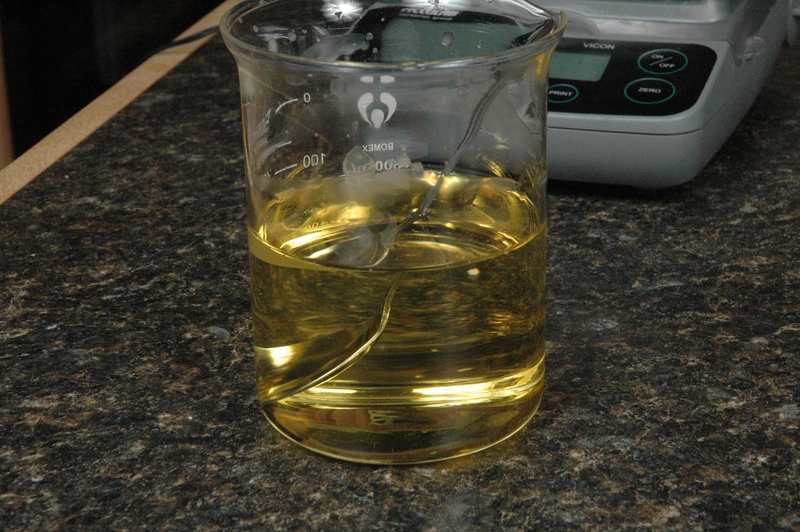 Weigh all ingredients except the essential oils and colors into a microwave safe container. 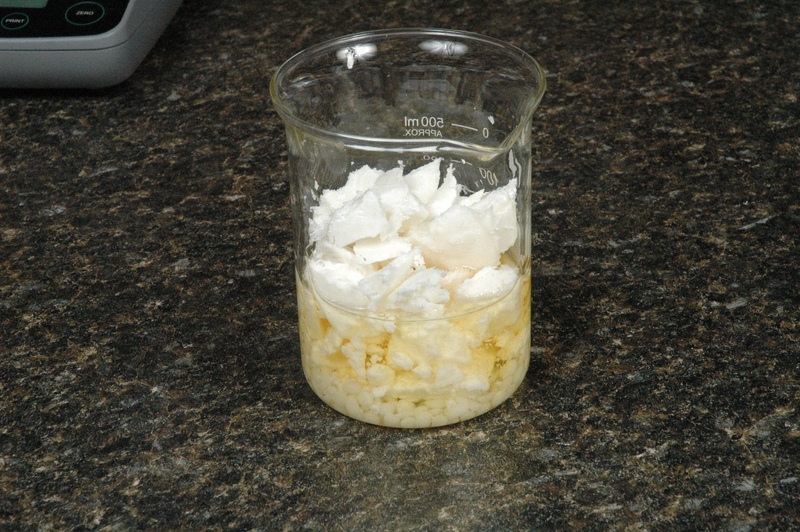 After all the ingredients are in the microwave safe container, melt ingredients using short time bursts in the microwave. The beeswax will be the last item to melt, but you can stir the lip balm to help the beeswax melt. Add the essential oils and colors. 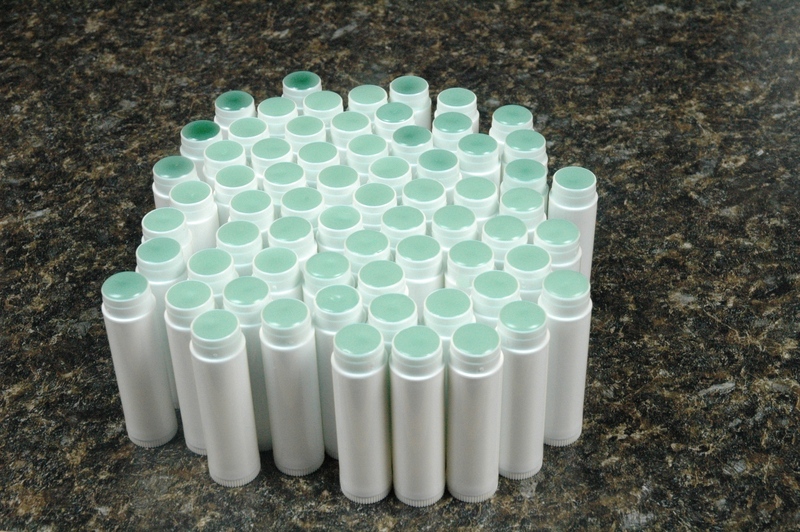 Once the lip balm has been flavored and colored, you can fill the lip balm tubes. Aren’t these cute? I love the labels the Graphics Department designed for this lip balm. Next week is our Cold Process Soap Follow Up Week! 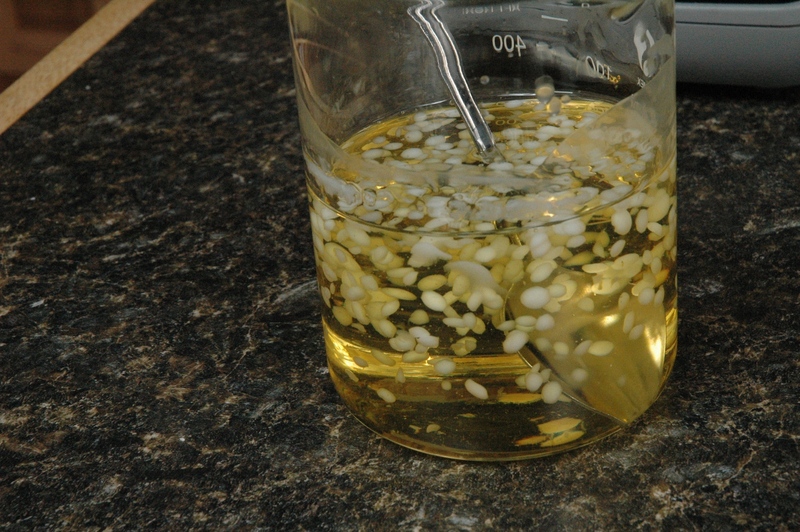 We are going to cover botanicals, milk soaps, curing, saving a batch, Lye Heavy Soap and Using the Lye Calculator. Almost melted except for the beeswax! Completely melted and ready for flavor and color. Added color and there wasn't enough blue. All my tubes are completely filled. Starting to fill the tubes. The cute label design that graphics made for this lip balm. These are great, I love the green!!! 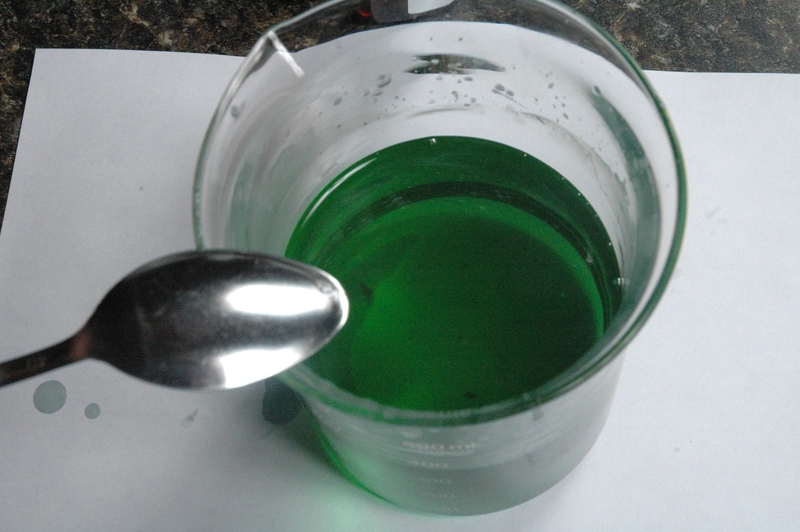 You could have a Lucky Leprechaun Spa party using the products on this blog and color them green. When it’s time for everyone to put their feet into the individual foot tubs, let each person choose a Magic Color Bath Fizzy from something like a leprechaun hat or a black plastic cauldron. Make all of the Magic Fizzies turn green but one that will turn gold. The person with the gold Fizzy water wins something from the Lucky Leprechaun’s treasure pot filled with your handmade products. You could have a fun and informative party with many different games and product demonstrations. The Mint Lip Balm and label could be part of the invitations. Wow! This is a great idea. This idea would translate to other Spa Parties. The first idea that came to my mind was a Spa Bridal Shower. You could do this just as a girl’s night out party or as a sales booster party. 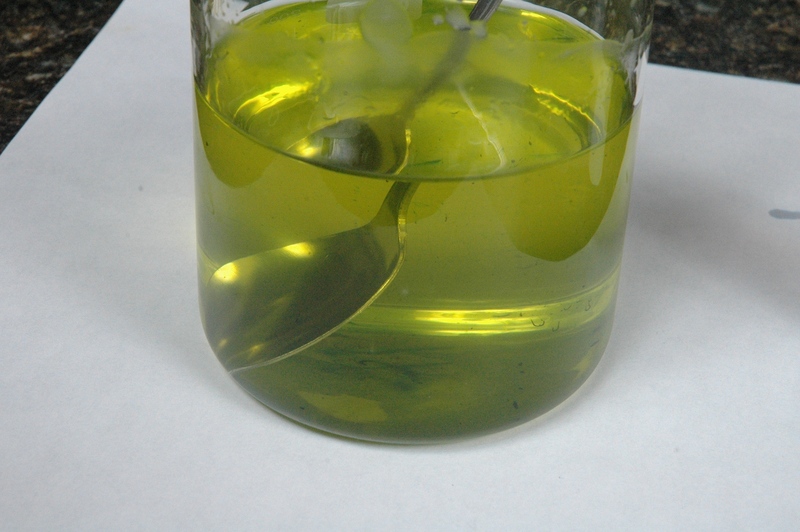 I made this today following the recipe exactly and although I can feel the peppermint tingle, it has no flavor…It’s just an oily, nasty taste. Shouldn’t I be able to taste the peppermint a bit? What did I do wrong and how can I change it next time? This is a good thing to cover! This lip balm was politely flavored, which means it was intended to offend no one. Highly flavored lip balms are enjoyed by many, but not all, lip balm users. To accentuate the flavor a sweetener is often added. Try Sugar Kisses Flavor Oil. On Monday I’ll cover the plate test. Lately I have been crazy in love with Blistex medicated lip balm cause I tend to play with my lips to much and live in the dry weather of Colorado… But I hate buying my lip balm when I know I’m capable of making it myself. Sadly I don’t know half of the ingredients they put in the chapstick. Any chance you might be able to help me formulate a recipe using more natural ingredients? As soon as I have access to my new testing kitchen, I’ll help you formulate that. Can you tell me what you like about the Blistex? Oh thanks that would be wonderful! And humm I think my favorite things about Blistex is the soothing cool “menthol” feel it gives to sore burning lips and that it isn’t too glossy. And it’s firm. My chapsticks seem to come out either too glossy or soft. I would like to make a chapstick my hubby would enjoy too. And glossy lips don’t exactly work lol.